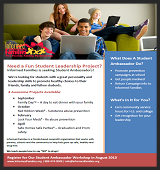 Welcome Students, Informed Families is working to create a place where you can get your questions answered. Want to know how drugs and alcohol affect your body? 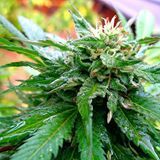 Want to know the facts about smoking marijuana? Want to know how to say "No" to drugs and still look cool? We'll help you find the answers to these questions and more. Check back with us soon! We’re looking for students with a great personality and leadership skills to promote healthy choices to their friends, family and fellow students. Is Marijuana smoking "no big deal?" Get the facts and find our for yourself. Studies say it leads to memory loss, laziness and and lower grades, but find out for yourself.